This was the toughest marathon I’ve ever done, but it also had the kindest support staff as well as amazing scenery. Thank you for the incredible-yet-painful experience! A fabulous event! A stunningly beautiful locale! And a marathon that is definitely not for sissies! This is one of my hardest races, but when I started racing seven years ago, I knew that my 100th marathon must be something special. Ston is just that: spectacular views, fantatic landscapes, great course and organization. Ston is a must for everyone who runs! The atmosphere, the people, the place, the organization, everything is excellent. I’ve decided to come every year, next year I will try to come again. You never know, but I will try to be here because I like everything about this race. I am happy. It is a very good race, very interesting but very hard. Everything was very good, thank you to the organizing team, they were perfect. The nature of Pelješac is wonderful, you are lucky to live here in this wonderful country. It was very gorgeous, it was easy to find my way, I never got lost which is always a good thing, it was a lot of fun! 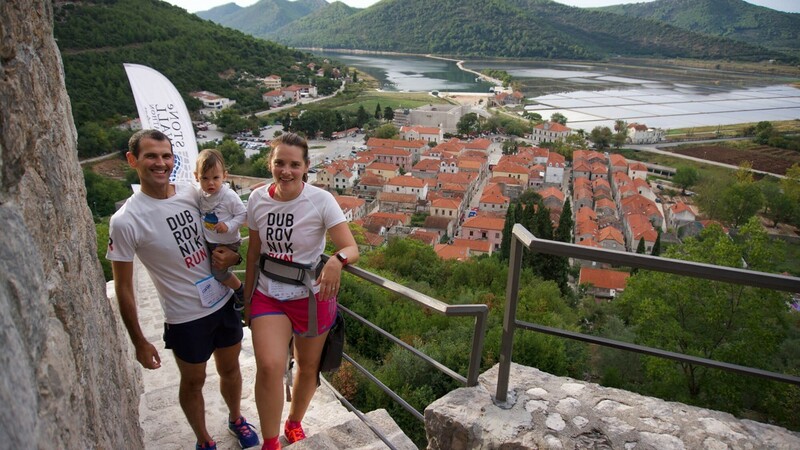 It’s my first time in Croatia, I’m enjoing my time, I’m a runner so the race was fantastic, I really liked it. It was not too hot, it started early so I really enjoied and I loved it. I will come back if I can. It was great uphill, if it went up further it would have been even better! The stairs are fun and the view is amazing, everithing is so beautiful, even if it’s a bit hard. I’m here for the first time in Ston, so I really wanted to come. The Wall looked glorious in the photos so I wanted to come and see it. This was definitely my hardest race. But also very beautiful, I think this is the most beautiful marathon, dearest to me. It’s marvelous, we can see all the cityes, Split and so on, and now the landscape here, during the marathon, that’s a good mix. The route is fantastic, the ambience great, this is my 78th marathon in the past decade, I have run across the whole of Europe, but this race is especially close to my heart. Despite everything, I will always find the time to attend this marathon, especially considering how the organizers do their best – compared to other marathons, this is a straight A.
I have been running marathons for ten years, and I’m now 39. I ran in Honolulu, Sweden, Germany, Italy… Ston Wall Marathon is nice, very beautiful, the best of marathons for me.